On this comedy variety series, a group of entertainers come together to compete and showcase their talents with unique acts — utilizing skills they didn’t know they had. It’s hosted by comedian Marlon Wayans. Each week, in front of a live audience, the cast members enter into a friendly rivalry as they choose their favorite act — one that they think they can master — and who they would like to pair up with to master that act. The acts span every variety of entertainment from song and dance to magic and danger. They also feature some big-name performers in guest-starring roles. With no judges or eliminations, the series allows the cast to show off their untapped talents with a little friendly competition. After six weeks of exploring their own unique talent range, one cast member is revealed as the season’s ultimate entertainer. What do you think? Do you like the I Can Do That TV show? Do you think it should be cancelled or renewed for another season? 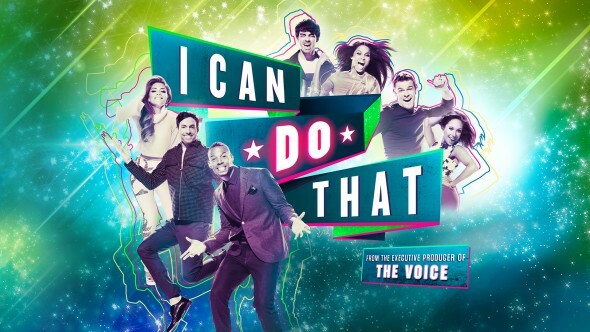 I Can Do That: Cancel or Keep the New NBC Series? Please bring this show back, it is one show my husband and I actually watched together. We really enjoyed the group and the whole concept of the show. I loved the show and I think it should be renewed for another season.